Vila Olivia consits of 10 apartments divided into 2 categories: apartments 2+2 and maisonette apartments 4+2. 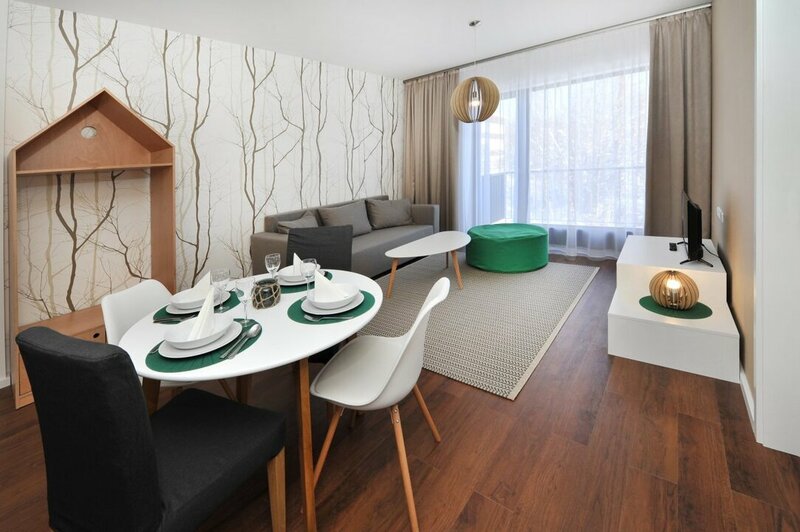 All apartments are equipped with modern appliances such as TV, dishwasher, washing machine with dryer, built-in stove, kitchen extractor hood, kettle. 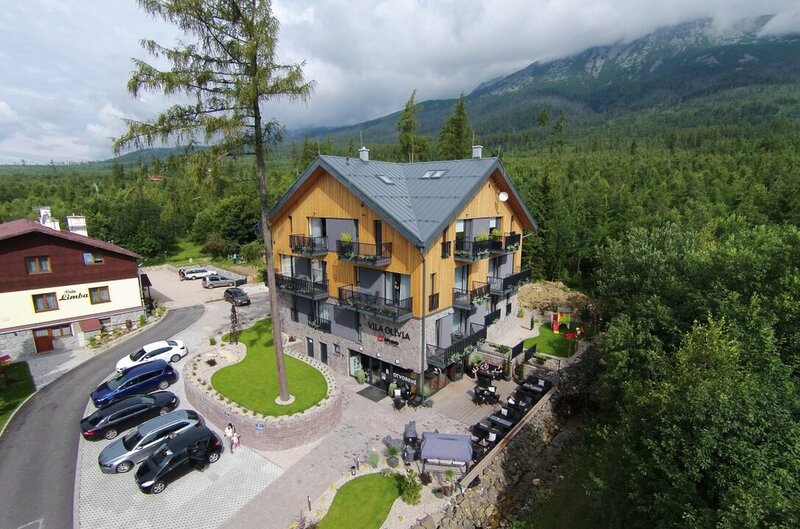 The equipment of the apartments belongs to the Top in regards to APLEND apartments in The High Tatras. 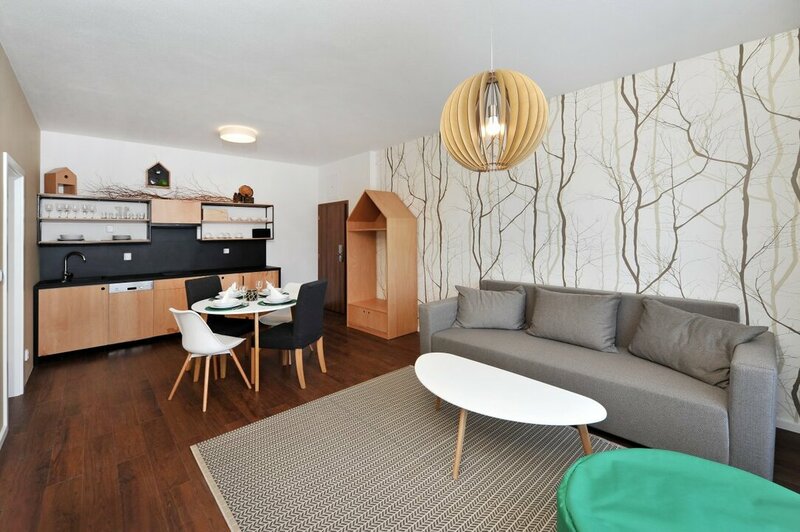 Apartmetns 4+2 are maisonette apartments with open gallery with double bed for 2 people, lower part included living room with sofa bed for 2 people, kitchen, bathroom and bedroom with double bed for 2 poeple. 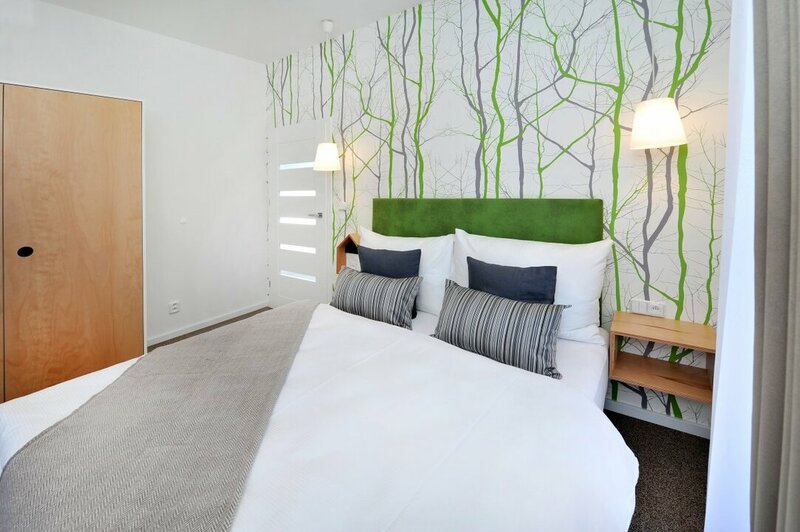 All rooms are equipped with card reader locking system. The guests can store their ski as well as bikes in the Ski-room on the ground floor.